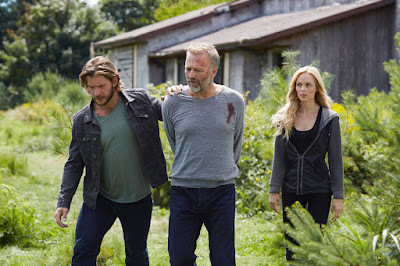 Bitten: The Complete Second Season sees the return of Laura Vandevoort as Elena; Greyston Holt (“Alcatraz,” “Durham County”) as Elena's passionate partner Clay Danvers; and Greg Bryk (A History Of Violence, “The Book of Negroes”) as the Alpha Pack leader Jeremy Danvers. The Complete Second Season also introduces a coven of witches who turn to the Pack for support. Tammy Isbell (“Saving Hope”) stars as the calm and level-headed Coven leader, Ruth Winterbourne; Tommie-Amber Pirie (“Michael: Tuesdays & Thursdays”) is cast as Ruth's daughter, the outspoken spitfire, Paige Winterbourne; and Kiara Glasco (“Copper”) stars as the young and impressionable, Savannah Levine. 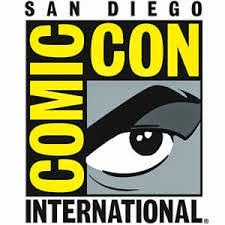 Returning to “Bitten” are Steve Lund (“Being Erica,” “Haven”) as Nick Sorrentino, Michael Xavier (“The Best Years”) as Dr. Logan Jonsen, and Genelle Williams (“Warehouse 13?) as Rachel Sutton. I was really excited to receive this show to review. I had missed it when it was shown on television, but had heard of it and wanted to watch it. Having received the second season to review, I needed to watch the first season so I had some frame of reference for the show. I loved it and couldn’t get enough of it. Season two picks up shortly after season one ends with Jeremy and the Pack still trying to pick up the pieces from the Mutt uprising. As they search for Malcolm, the other pack leaders descend on Stonehaven and demand that Malcolm is killed or else Jeremy loses his control over the North American Pack. As they search, the Pack encounters a coven of witches who can explain some strange markings Clay found while investigating. The Pack and Coven team up to find the source of the strange markings, but when Elena goes missing, they race to find her before her blood is used in a spell. The cult that took Elena wants to see the witches dead and are trying to find a way to make that happen. Aleister, the cult leader, tests Elena’s blood, forces her to change into a werewolf and has also taken hostage Rachel, Logan’s pregnant girlfriend, and Savannah, a young witch who has not yet come into her powers. When Elena and Savannah are saved from Aleister, the Pack and Coven regroup at Stonehaven and come up with a plan to defeat Aleister and his cult. 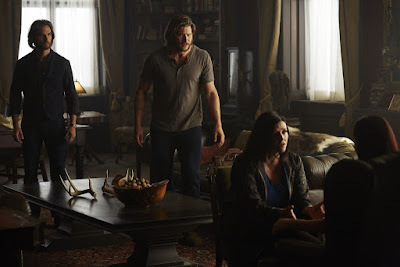 But when Aleister takes over Clay’s body, their plan goes off track and Ruth, the Coven leader, realizes that Aleister’s powers come from a place she thought she’d never have to deal with again. After barely saving Clay’s life, the Pack and the Coven realize that it’s going to take some strong magic... and a lot of luck to defeat Aleister. The Pack and the Coven race to the Coven’s secret chamber where Ruth begins a difficult spell that will kill Aleister. But Aleister arrives and defeats Elena, who has changed into a wolf in order to save Ruth, Clay and the others. 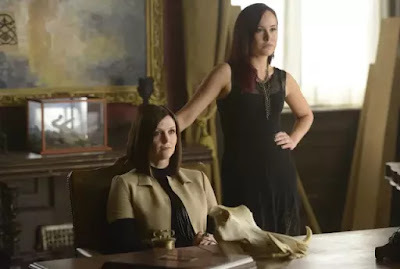 Ruth casts a spell to bring Elena back, and Savannah finally comes into her powers and realizes she’s been under the influence of Aleister. She retrieves her talisman – the necklace that harnesses her powers – and works to end the spell Aleister has cast. After binge-watching season one, I was super excited to start season two and thought I’d love it just as much. Unfortunately, I didn’t like it as much. I thought too much focused on the witches’ storyline and not enough on the werewolves’ story. Sure, you learned about Clay’s back story and how he became a wolf, but like that one season of “True Blood” where it was all about the fairies and witches, I found myself bored and losing interest. The whole cast was really good and I enjoyed seeing them interact with each other and how well they did in each episode. Laura Vandevoort is great as Elena. She plays her character well and is quite believable. The only thing that bothered me is that she certainly seemed to be over the death of her former fiancé fairly quickly. Steve Lund (Nick) is adorable and I want to see more of his work. I especially found myself not only liking the character of Jeremy, but actor Greg Byrk, as well. The transformation from human to wolf was not bad. It actually looked more realistic than other shows and movies. I just wish the story had been more about the wolves than the witches. I know it’s a book series and the writers are likely following the progression of the book, but it just seemed too little about the Pack, even though they were heavily involved in the witches’ story-line. The widescreen presentation of “Bitten” is good. The colors are authentic and the special effects believable. Transitions between scenes were smooth and the transition from human to wolf were seamless. I can only imagine how much better the whole show would have looked on Blu-ray, but seeing it on DVD is better than streaming it on Netflix. There were times the audio was very soft and I had to adjust the volume. Some of the dialogue is hard to hear and sound is a bit uneven, but once I found the proper volume level, I had no problems. The English 5.1 Dolby Digital surround sound with English SDH subtitles is good and much better on DVD than television. The special features were lame. The only one I actually really enjoyed was the one about the stunts. I run hot and cold with special features and these weren’t that great. Behind the Scenes Featurette -- A seven minute behind the scenes look at season two. Includes comments from the cast and crew. Deleted and Extended Scenes -- 20 minutes of deleted and extended scenes from various episodes. I didn’t think this was needed and it was kind of boring. Stunt Choreography – This was super cool to watch. The action scenes are played out with the stunt people shown in the corner doing the fighting. Bitten New York Comic Con Panel -- 40 minutes of the panel the cast and crew did at NY Comic Con. It looked like a video camera was just set up in the back of the room. Each cast member talks about their character and the direction it's going. There’s also a discussion of how the show balances with the book series. I found myself so bored with this and couldn’t wait for it to be over with. Gag reel -- Two minutes of fooling around and mess ups. I've seen better and I'm sure there were much funnier options to include. Gentling video -- I have no idea what this was. It felt like they were trying to brainwash me. It kept repeating the same thing and showing disgusting pictures. Innerspace: After Bite – This is an episode of what is a knock off of Talking Dead. Cast talks about the show and the season finale. I hated this. Despite what I think about the show losing its way in season two, I still enjoyed watching it. “Bitten” is a good show and I will continue to watch it. I do want to learn more about each of the actors and their bodies of work because they are entertaining and talented. “Bitten” is a fun show and an interesting story. I look forward to seeing season three on SyFy and learning more about the Pack and seeing how they progress.